"Santa Claus, Racers, Cancer Patients, Fans"
The above 360x180 VR Panoramas are also available over a (free) iPhone app called PangeaVR (download from here). 2009 LA Auto Show updates (videos) will also be available as a "video podcast" over Apple's (video-capable) iPod/iTunes. (download iTunes here). 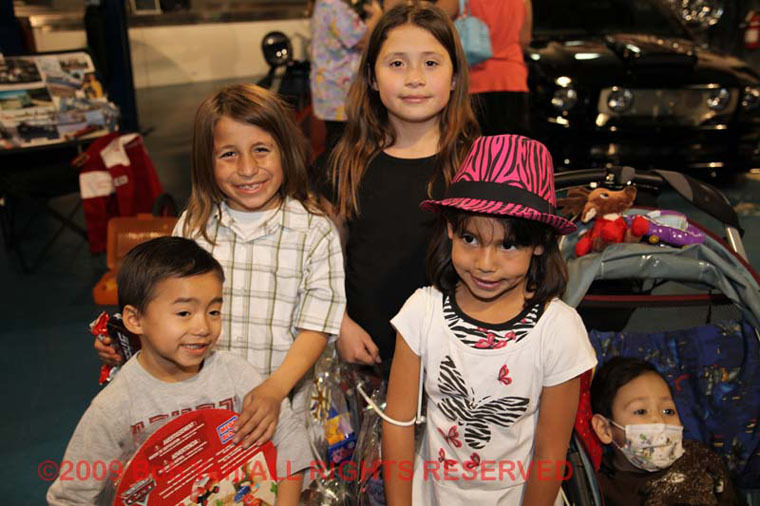 In iTunes, goto Music Store & do a search on "la auto show" (or "electric car", "tesla motors", "martin eberhard", etc). 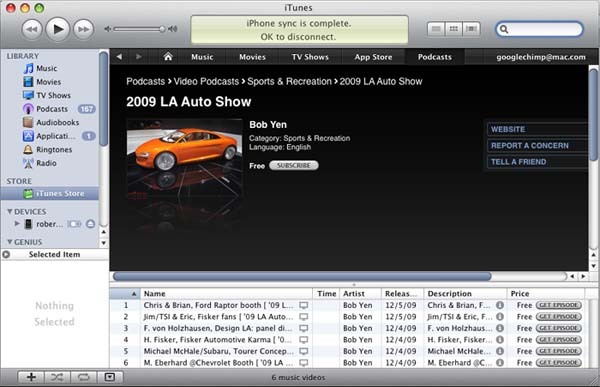 Then, select the "2009 LA Auto Show" podcast, & subscribe to it. Goto "Podcast" section, & play the selections. 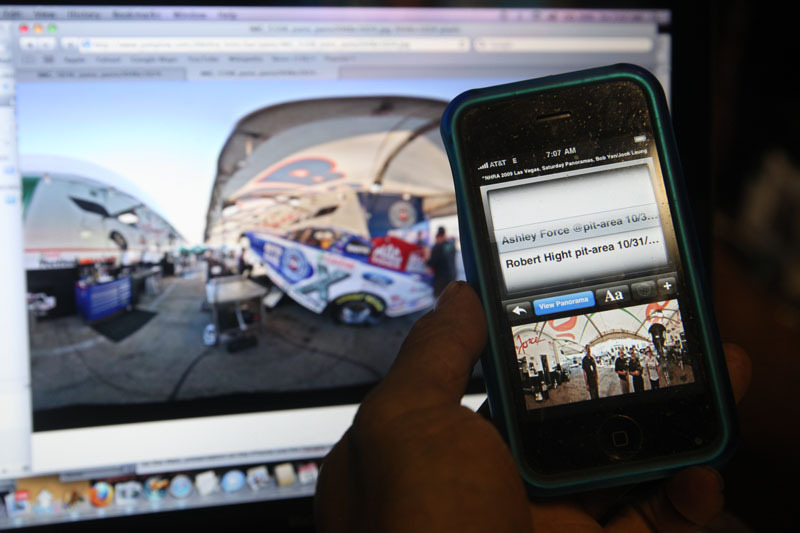 Or, connect your iPod, download vidoes..carry around & show it to friends: "This is 2009 LA Auto Show". You can also view the race videos (& hear the audio interviews) at the above site. Dave Kodama (Caltech physics alumni, Class of '77 & EV Enthusiast) was typically generous in offerring his time/services for backup, in video-email support. Likewise, Joseph Dillon/DillonMotorSports.com also offerred his advice/support for Networking Issues. This is a perfect example of TeamWork in action, the volunteer team at Jumplive.com is contributing to BITD's team, in bringing OffRoadRacing to the masses. Hopefully, we will be bringing increased Media-Exposure, via the "Alternative Model" of the Internet/Web (as opposed to the "Standard Model" of Television/Print-Media)..for the betterment of the sport of OffRoadRacing. We also look forward to SCORE to jump in, as a "partner" in a Collective/Cooperative effort to push OffRoadRacing to the masses. "..our Little Wonder in the Desert.."